Envirosafe Ireland supply Large Setup Workstations, which provide very large working areas of up to 2400mm and 1000mm deep. 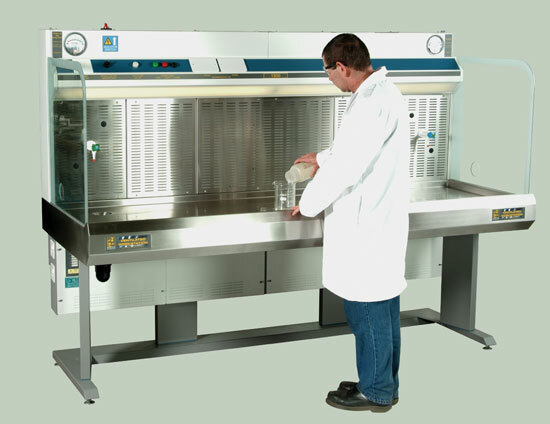 For those large scale demands used within laboratories as diverse as marine life to powdered food products. The workstation inhalation protection provides an envelope for multiple rovatap, or similar set-ups.